Welcome to the Bexley Stamps website. See our current full range of items by clicking here. Bexley Stamps was established in 1969 and has been supplying quality accessories for the Stamp & Coin Collector throughout the years. Bexley Stamp & Coin Accessories will continue to provide the excellent personal service the hobbyist has become accustomed to. Lindner of Germany. LINDNER Collecting-Systems – qualitative, stylish and functional. We also carry many other brands of accessories and catalogues including Hartberger, SAFE, Stanley Gibbons, McDonald, Palo, Scotts and Renniks. The previous owner Mike Hill will continue to provide his New Issue service and he will continue selling his stock of stamps. Please contact Mike at this email link. Contact Ken or Kerry Pullen at this email or the phone number shown above. 1969 Bexley Stamp Shop opens in May at 415 Forest Rd, Bexley. 1995 Changed owners once more in March to owner number three Michael Hill, who had started a stamp shop in May 1969 in Lae Papua New Guinea and has dealt in stamps since then. 2017: (May 18th) Ownership changes with Ken Pullen (Owner No 4) taking up the operation of Bexley Stamps. He will continue operating as a Mail Order Business - with an on-line store tat the Accessories link above. SCDAA was established in early 1970 when a number of Sydney suburban full and part-time dealers felt the need to establish a Sydney based Trade Association to provide a service to the collector in a growing Sydney market. Member details and the Code of Conduct can be found at scdaa.com.au. Petersham Stamp, Coin & Banknote Fair, is held on the 5th Sunday of each 5 Sunday Month at Petersham Town Hall, 107 Crystal Street, Petersham Sydney. Up to 28 dealers attend and Petersham is now the longest running Fair in Australia attracting about 400 collectors to each event. 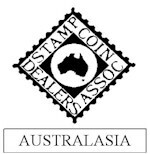 Collectors are well catered with a wide variety of Australian & World Stamps, Coins & Banknotes and Accessories for collectors. Founded in 1948, APTA aims to develop and maintain a high standard of business ethics, to provide benefits and services to members and to promote the hobby of philately. APTA Membership embraces dealers, accessory manufacturers, wholesalers, publishers of philatelic literature and employees of members. APTA studies local and national legislation that may be relevant to the philatelic arena. In this and other areas of influence on the trade or hobby, it not only keeps members informed, but undertakes lobbying to the relevant bodies. Members are required to observe the APTA Code of Ethics to maintain sound and responsible standards of business practice and to encourage and foster high standards of professional conduct amongst those engaged in the stamp trade. This in turn develops goodwill for APTA members throughout the philatelic community. The IPDA is a non profit organization. 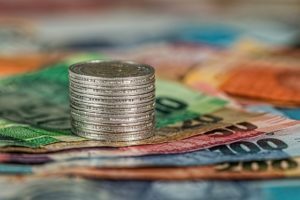 It was officially formed in 2002 by a group of individuals whose main intention was to give stamp collectors confidence when buying from internet based dealers. These individuals had been meeting since 2000 and discussing the idea that if a dealer was accredited as a member of what was to become the IPDA, it was the groups expectation that this would help towards making the internet a safer place to buy and sell stamps. After 5 years of steady growth, the IPDA was incorporated as a non profit Association in the state of Florida USA, on 28th February 2007. 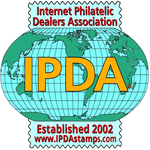 The Association’s registered title is The Internet Philatelic Dealers Association Incorporated or The IPDA. I have a postage stamp without any country's name. How can I determine where it is from? Only one country is permitted to issue postage stamps without including their name. This is Great Britain because it was the first country to issue postage stamps in 1840. In place of the country's name, Great Britain is allowed to simply include an image of the ruling monarch (frequently in the upper right hand corner of the stamp). Remember that many countries do not use English and thus you may not recognize the name. Are used stamps of any value? 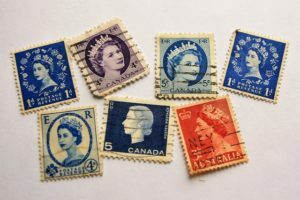 Yes, although in the vast majority of cases unused stamps sell for more, many collectors save used stamps and many of the most valuable stamps are used. © 2019 Bexely Stamps. All Rights Reserved.